The Atlantic City Mercantile, constructed in 1893, is one of the oldest buildings in the Atlantic City area and is a well-known landmark in the South Pass region. Atlantic City was a gold mining town. Even though the first indications that gold existed in the South Pass region occurred in the 1840s, no one filed a claim in the area until 1867. 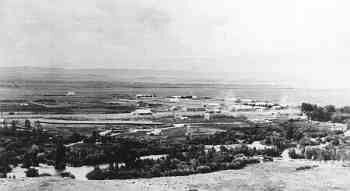 When this mine immediately began to produce significant amounts of gold, the rush to South Pass began. 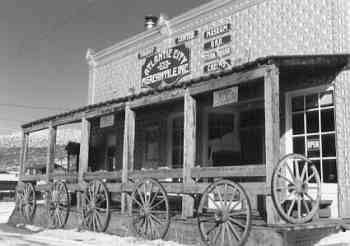 South Pass City was founded that year, and Atlantic City and Miners Delight were built in 1868. Approximately 3000 people lived in the area by 1869. By 1872, the gold mining boom had ended and Atlantic City was nearly deserted. Over the next one hundred years, the town experienced several mining booms, although none approached the 1867-68 rush. Throughout these years of fluctuating populations, the town merchants were a force of economic and social stability. They provided all the basic necessities to a small isolated town, and their establishments represented a social center for the local citizens. Lawrence Giessler's Atlantic City Mercantile reflected these traits more than other store or business from the 1890s to 1929. The Mercantile was the economic and social center of the town until 1929 when the store closed. The Giessler family utilized the Mercantile to provide many necessary community services. In addition to selling basic goods, the family operated the post office during the 1910s and 1920s. Giessler also helped finance and managed the town's first telephone company in the early years of the twentieth century. After Giessler's death the store remained closed until 1964 when a local steelworker bought the building from Giessler's descendants and reopened it as a beer tavern and a spring water concession. The Mercantile has endured as the economic and social center of Atlantic City under a series of owners since then. The forty bridges in this thematic study are the best of their types which were still in use on the state and county road systems in Wyoming when the study was completed in 1982. Selected from a statewide survey of all functional vehicular trusses and arches using a specific evaluation criteria and methodology, most represent superlatives of their generic engineering types (i.e. 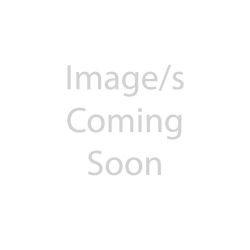 truss configuration and connection types) while typifying bridgebuilding and transportation trends in the state. All were built in the first three decades of the twentieth century (1905-1935). Although bridges were put up during the earlier periods of overland wagon emigration, they had not begun to proliferate in the state of Wyoming until the early twentieth century with the emergence of the automobile as a principal form of transportation. All the listed bridges display a remarkable homogeneity of construction and operational histories. Generally, county-built trusses were contracted through competitive bidding among several Midwestern bridge erectors and built from standardized designs using prefabricated components. After creation of the Wyoming Highway Department in 1917, the role of the counties in truss bridge construction diminished. The later highway department bridges were typically designed from standard plans maintained by the department and built by local contractors from components fabricated in the same Midwestern foundries. One feature that all steel truss bridges shared was their versatility. Quickly erected, they could also be dismantled and moved if necessary. Many county road bridges in Wyoming had begun service as railroad bridges, sold or given to the counties as obsolete structures. Similarly, early highway bridges which had become unsuitable to handle increasing volumes of traffic were sometimes replaced with new trusses, with the older bridges demoted to places along less traveled roads. After World War II, new trussbuilding was rare in Wyoming. Today trusses have been largely superseded by more sophisticated engineering designs and are seldom erected. The remaining highway and roadway truss bridges are remnants of past technologies, whose numbers are continually dwindling through attrition. All were built in the first three decades of the twentieth century (1905-1935). Although bridges were put up during the earlier periods of overland wagon emigration, they had not begun to proliferate in the state of Wyoming until the early twentieth century with the emergence of the automobile as a principal form of transportation. All the listed bridges display a remarkable homogeneity of construction and operational histories. Generally, county-built trusses were contracted through competitive bidding among several Midwestern bridge erectors and built from standardized designs using prefabricated components. After creation of the Wyoming Highway Department in 1917, the role of the counties in truss bridge construction diminished. The later highway department bridges were typically designed from standard plans maintained by the department and built by local contractors from components fabricated in the same Midwestern foundries. One feature that all steel truss bridges shared was their versatility. Quickly erected, they could also be dismantled and moved if necessary. Many county road bridges in Wyoming had begun service as railroad bridges, sold or given to the counties as obsolete structures. Similarly, early highway bridges which had become unsuitable to handle increasing volumes of traffic were sometimes replaced with new trusses, with the older bridges demoted to places along less traveled roads. 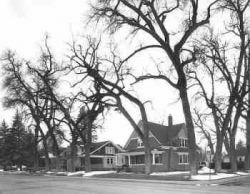 After World War II, new trussbuilding was rare in Wyoming. Today trusses have been largely superseded by more sophisticated engineering designs and are seldom erected. The remaining highway and roadway truss bridges are remnants of past technologies, whose numbers are continually dwindling through attrition. The Brooks Lake Lodge complex is situated on the western edge of the Shoshone National Forest in northwestern Wyoming, only two miles east of the Continental Divide. It sits one-quarter mile south of Brooks Lake, a relatively large natural body of water named after Casper pioneer and later Wyoming Governor Bryant B. Brooks who discovered it in 1899. The Lodge, built in 1922, is unpretentious and structurally expressive in the tradition of the Western Craftsman style, crafted using local labor and native materials. Western Craftsman combined the pared-back aesthetic of the Arts and Crafts Movement of the early twentieth century with the pragmatic simplicity of the frontier log cabin, resulting in often simply massed, usually austerely decorated structures. The style is most commonly associated with the dude ranches and tourist lodges which had sprung up throughout the Rocky Mountain West during the first decades of the twentieth century. The guest cabins, barns, bunkhouse and other outbuildings, also constructed in 1922, share certain characteristics of the Western Craftsman style as well. 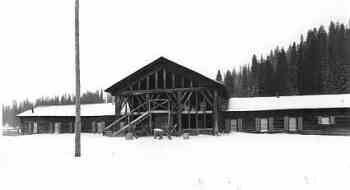 The historical significance of the Lodge is based upon its association with the early-day recreation industry in Wyoming. Built at a time when dude ranches were beginning to flourish and the automobile was opening many areas to working class tourist trade, it typifies a distinct form of recreational retreat - a stopover along the road to Yellowstone National Park and a rustic resort hotel placed in a spectacular Rocky Mountain setting. The C. H. King Company and First National Bank were housed beside each other in a substantial frame commercial structure, known today as Yellowstone Drug. 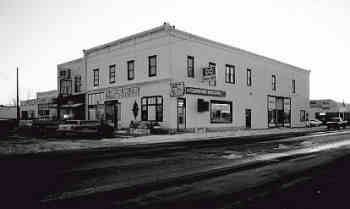 The building, constructed around 1906, is located at the corner of Main Street and Highway 20/26 in Shoshoni. It is one of the small town's earliest surviving structures due to fires that occurred in 1908. The building is significant because of the role it and its businesses played in the growth and development of the small town of Shoshoni. Its key location in the commercial area made it attractive to a number of different businesses as it housed the first lumber company in town, a grocery store, antique shop, dry goods store, a bank, and currently the famous Yellowstone Drug noteworthy for its malts and shakes. 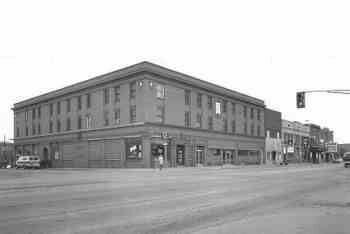 At one time the Shoshoni Post Office was also located in the building. Fraternal organizations have used the second story for meetings and social occasions for over fifty years. The building, with its continuous use as a center of commerce in a community that has experienced significant booms and busts, communicates the important role Shoshoni has had as a service center to the surrounding agricultural, energy, and recreational community. Buildings on this site have served as a resting point for travelers and a good meal since 1904 when Nellie Carpenter and her eldest daughter Ellen began running a hotel and restaurant. It began in the one-story section of the main lodge with six hotel rooms and a large dining room. 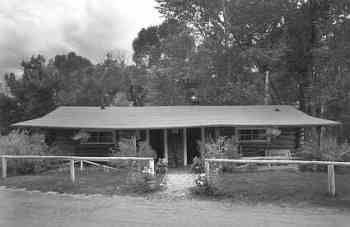 In 1935 the hotel expanded greatly with the addition of the two-story section of the main lodge and five additional cabins. The new two-story section added five additional guest rooms and private spaces for the family. In addition to providing meals and hospitality the hotel also served as the Atlantic City post office from 1930 until 1953 and had the city’s only gas pump. Atlantic City went through cycles of bust and boom related to gold mining in the area. By the mid twentieth century it had become a virtual ghost town. From its inception in 1904 the hotel has remained a steady presence even as the city has largely shut down. The Carpenter family sold the property in 1963 following the death of Ellen Carpenter. The property continues on in its historic use as a bed and breakfast. Castle Gardens is an extensive site six miles long and one mile in width. The petroglyphs are scattered throughout the area on a series of vertical cliffs, highly eroded, rising ten to one hundred feet in height above the valley floor. 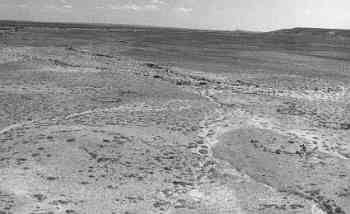 Castle Gardens is one of the largest and finest prehistoric petroglyph sites in Wyoming and ranks high in importance among other petroglyph sites found in the Western United States. The drawings are important in regards to their preservation, style, variety, and subjects represented. Particularly significant designs include several figures of water turtles and extensive use of circular shield motifs. Anthropomorphic representations at Castle Gardens include medicine men, warriors with shields, and hunters with weapons. Zoomorphic designs include bear claws, turtles, buffalo, birds, weasels, antelope, deer, elk and mountain sheep. 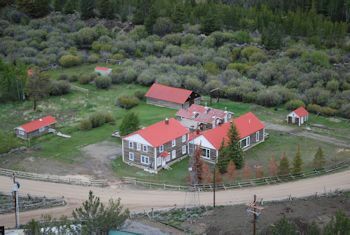 The CM Ranch and Simpson Lake Cabins Historic District is a discontiguous district located in the Wind River Mountains. It consists of a 1300 acre dude ranch with associated buildings and structures, and a leased 5-acre portion of Shoshone Forest Service land which contains associated buildings and structures known as Simpson Lake Cabins. 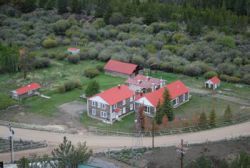 The Simpson Lake Cabins are owned by the CM Ranch. The Ranch is situated at the mouth of Jakey's Fork Canyon. The logs for the ranch buildings were cut in the Canyon in the 1920s and hauled to the ranch by teams of horses and wagons. 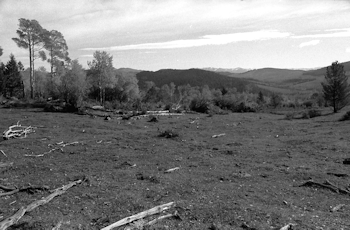 The Simpson Lake Cabins are thirteen miles from the ranch near the Continental Divide along the eastern shore of Simpson Lake in the Fitzpatrick Wilderness. 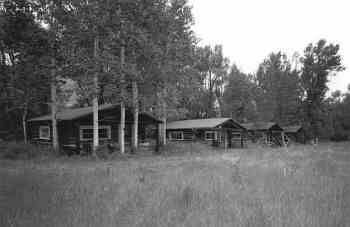 The Simpson Lake Cabins site complex consists of three cabins, two outhouses, a meathouse, and a corral complex built in 1928. 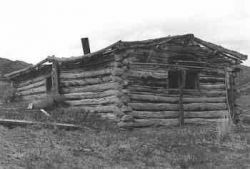 The CM Ranch and Simpson Lake Cabins played a significant role in the development of Wyoming's dude ranching industry. 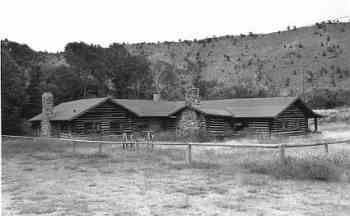 The Ranch was developed in 1920 and was the first dude ranch in Fremont County. It operated as a dude ranch until 1942, the beginning of World War II. Simpson Lake Cabins were built as a hunting camp. 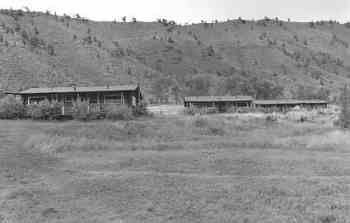 The owner of the CM Ranch, Charles Moore, bought the cabins in 1931 when he expanded the ranch's dude operations. The Dean Decker Site (48SW4541/48FR916) is located along the terraces of lower Sand Creek and portions of Red Creek in the northwest fringe of the Great Divide Basin. Cultural materials extend continuously for 6.5 kilometers. Archaeological materials consist of scatters of thermally altered rocks, hundreds of cobble hearths and unlined hearth stains, thin scatters and dense concentrations of lithic artifacts, and occasional groundstone artifacts. The lithic materials are predominantly local cherts and quartzites. Diagnostic artifacts include probable Fremont pottery and Late Prehistoric projectile points. It is likely that this site represents the accumulation of small campsites from the Middle Archaic through the Protohistoric Periods. 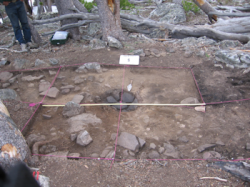 The archaeological data available from this site can contribute significantly to research regarding prehistoric settlement and subsistence patterns of small aboriginal groups. Delfelder Hall is located in the Wind River Valley of Wyoming four miles north of the town of Riverton. The hall is a large rectangular one-story stuccoed building. It displays no particular architectural style. It is a plain building that derives its significance from its role in local history. On September 8, 1908, about two years following the founding of Riverton, Mary J. Freeman filed on a 160-acre homestead located four miles north of the town. Early in March, 1909, Mary's residence, located north of the present Delfelder Hall Building, was used as a school that was taught by a teacher named Miss Jordan. 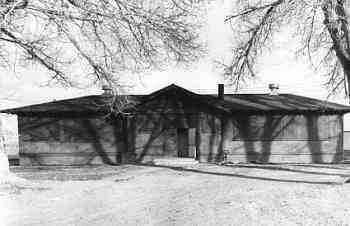 The Freeman residence was the first of three schools located on that piece of land. In 1910 the Freeman property was sold to Jacob Delfelder, from whom the hall derives its name. On August 7, 1920 the directors of the Fremont County School District let a contract to the firm of Westerlund and Schodin for the construction of a four room school house. The Delfelder Consolidated School opened on January 10, 1921. It was open for a period of eight years, and was officially closed on June 7, 1929 because modern means of transportation allowed students to attend schools in town. Although it was built as a school, the Delfelder building also served as a community social center. Delfelder Hall is significant because of its historical role as the site of an early educational institution in the Riverton Valley, but particularly because of its long history as a rural community meeting house. It has been a place where citizens representing a variety of organizations have gathered together for entertainment and for the social, political and economic advancement of the community. 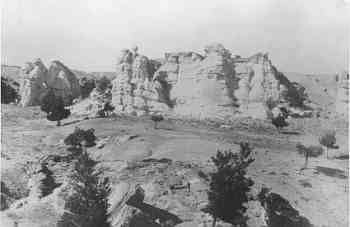 Fort Washakie is nationally significant representing Indian and Military affairs of the post Civil War period. Its namesake relates to one of the outstanding Indian Chiefs of Western America, Shoshone Chief Washakie. The Fort Washakie story represents one of the most notable examples of successful Indian-white relations in the Western United States. The fort was first established to protect the Shoshone and Bannock Indian Reservation against the wandering hostile Indian enemies of these two tribes. This protection was also extended to the miners of the nearby Sweetwater region. During the 1870s and 1880s Fort Washakie served a secondary function in providing a convenient supply base and springboard for expeditions entering Yellowstone National Park and the Big Horn country. 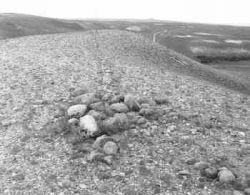 The Green Mountain Arrow Site (48FR96) is a unique example of a small number of stone effigies which have been documented for the Northern Plains and central Rocky Mountains. The site consists of an apparent directional arrow, seven or more stone cairns, three possible stone circles, and several lines of pebbles and small cobbles. The arrow is approximately 50 meters (165 feet) long. These rock figures may represent more than one construction event, and at present there is no evidence of when the figures were made. 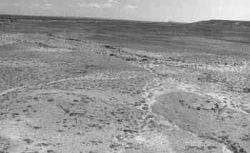 The location of this arrow where it cannot be easily seen from nearby ridges and away from a likely route of travel makes it appear unlikely that the monument marks an aboriginal trail. One possibility is that this stone figure is a monument to a particular person or event, or that the arrow is actually part of a human or mythical figure. The Helen Lookingbill Site is a stratified open-air prehistoric campsite and tool stone procurement area located in Absaroka Mountains of northwestern Wyoming. The site was reoccupied repeatedly over the course of the last 12,500 years. Excavations between the late 1970s and 1993 recovered over 125,000 prehistoric artifacts and obtained 21 radiocarbon dates. Excavations at the site have yielded one of the largest samples of Early Plains Archaic side-notched points in the Central Rocky Mountains. Remaining deposits have the potential to answer significant research questions concerning human use of high altitudes and paleoclimates from the terminal Pleistocene to the late Holocene. Contains substantial evidence for a semi-permanent alpine village with nearly sixty preserved lodge pads. The site was occupied from the Archaic to the Protohistoric period, as substantiated by fifteen radiocarbon dates and many diagnostic artifacts. The site was discovered in 2006 and in subsequent years of excavation over 30,000 artifacts have been recovered. Excavations have only scratched the surface of the site’s potential. Only a small number of lodges have received any excavation and the areas between lodges have received very limited testing. The remaining deposits hold significant research potential to inform our understanding of high altitude land use by prehistoric peoples. The Jackson Park Town Site Addition Brick Row consists of three locally prominent brick houses with outbuildings constructed in 1917 and 1919. Built during a period of robust community growth for Lander, they derive significance from their architectural accomplishment and noteworthy state of preservation. These houses are the direct result of Lander's growth period of 1906-1920 and serve as an exceptional example of early community development and prosperity. Contextually, construction of the Row relates to events associated with the arrival of the Chicago & North Western Railroad in 1906, passage of the new Homestead Act of 1909, and emergence of economic stimuli related to World War I. The buildings making up the Row were constructed for, and occupied by, successful Lander businessmen Alexander (Scotty) Johnston, Leslie W. Read and Frank S. Bower--all of whom profited directly from these history-making events and built modern brick homes that reflected their elevated social standing. The Row serves as one of the finest reflections of affluent Lander residential growth that developed at the height of the first boom and bust period of early 20th century Lander. The City of Lander has played a major role in the settlement and development of west-central Wyoming since the late 1860s. It is associated with several major frontier themes: the Great 19th Century Westward Migration, due to its close proximity to the Oregon Trail; military explorations and Indian relations in the formation of the Lander Cut-Off in 1859 and the Wind River Indian Reservation in 1868; the nearby South Pass mining boom; the establishment of major transportation and communication routes to serve the Wind River Reservation; the arrival of the railroad in 1906; cattle and sheep ranching; the early 20th century oil industry; and Lander's development into a major commercial center in the Lander Valley. 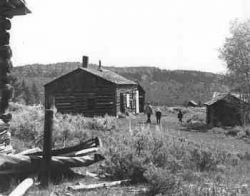 Euro-American settlement had begun in the Lander Valley shortly after the discovery and development of significant gold deposits in the South Pass area in 1867. The Lander commercial district grew from a post office and several businesses established as early as 1875. 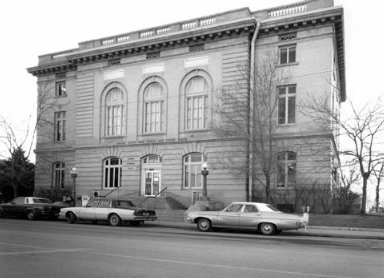 The district experienced several major building booms, progressing from log and wood frame buildings to more substantial two-story brick and stone masonry edifices with highly ornamental facades. The majority of the remaining commercial buildings within the district date from the late 1880s-early 1890s boom. Despite subsequent boom and bust periods brought on by the wildly fluctuating energy and ranching industries, Lander has endured as a stable commercial and social center for the Lander Valley. This thematic study includes twelve post offices owned and administered by the U.S. Postal Service (USPS) throughout the State of Wyoming. These include the Basin, Greybull, Douglas, Lander, Torrington, Thermopolis, Buffalo, Kemmerer, Powell, Yellowstone, Evanston, and Newcastle Main Post Offices. The buildings represent a continuum of federally constructed post offices allocated to the state between the turn of the century and 1941. The buildings exhibit a variety of styles and sizes but maintain a common demeanor representative of the federal presence. All of the buildings were constructed from standardized plans developed from guidelines provided by the Office of the Supervising Architect in the Treasury Department. Variations in design styles reflect both the transition in the design philosophies of the Supervising Architect and the requirements developed in response to the Depression. These variations in design, as well as functions are also somewhat related to the communities in which they were placed and reflect the economic, political, and governmental context of those communities. The South Pass gold mining region is located in west-central Wyoming near the end of the Wind River Range. In the high-altitude environment of the South Pass mining region prospectors and miners scoured the landscape, working both placers and lodes for gold. Three camps in the region offered a social life where basic elements of civilization were obtainable in one form or another. One of these camps was Hamilton City, or Miners Delight as it is more commonly known, established in 1867. By far the greatest number of physical structures remaining in the immediate area are found at the Miners Delight townsite. Within it are seventeen structures including seven cabins, one saloon, one meat house, one shop or barn, one shaft house, one pantry, one cellar, three privies, and a corral. All are constructed of log or unfinished lumber. About a quarter of a mile west of the townsite is the Miners Delight mine. During its peak year of 1870, the census counted 75 inhabitants at Hamilton City, 40 of which were miners. Problems associated with working the mine efficiently, and the lack of productive ore, ended a chapter in Minders Delight history. From March 1882 until after the turn of the century, the Miners Delight Mine was not worked. Brief attempts to work the mine occurred again in 1907 and during the years 1932-1946 during the Great Depression. The Quien Sabe Ranch has a long and colorful history beginning with the English cattle barons of the 1880s, a shadowy period as a headquarters for outlaws and cattle rustlers in the 1890s and early 1900s, and a prolonged period of single family ownership beginning in 1907. It represents one of the earliest stockraising operations in northern Fremont County. It has operated continuously as a livestock ranch for over one hundred years, yet still retains the original ranch house and several important early or original outbuildings. By the end of 1868 the construction of the Union Pacific Railroad, part of a transcontinental transportation artery, was completed through southern Wyoming. Thus the territory, and later the state, was provided a stimulus for growth. Central Wyoming had to wait until 1906 for a railroad, and it was the Chicago and North Western that first arrived. On August 15, 1906, two weeks before Chicago and North Western construction crews reached Riverton, Wyoming, 1,600 homesteads in the Wind River Valley were opened up for 7,240 claimants who won the right to draw for them. Among the first supplies shipped to Riverton was lumber for construction of a new depot. Completed in 1907, the depot became part of a transportation system that played a vital role in the agricultural and industrial development of the Wind River Valley. Not only did the Chicago and North Western Railroad provide transportation for raw materials produced, and supplies used, in the valley, it created a need for coal that was mined at places such as Hudson, and for wood and ties which were procured near the head of the Wind River. 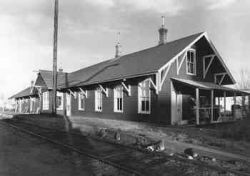 Originally, the depot housed a Railway Express Agency office, a storage room, men's waiting room, clerk's office, women's waiting room, and living quarters containing bathroom, dressing room, bedroom, kitchen and dining room, and living room.